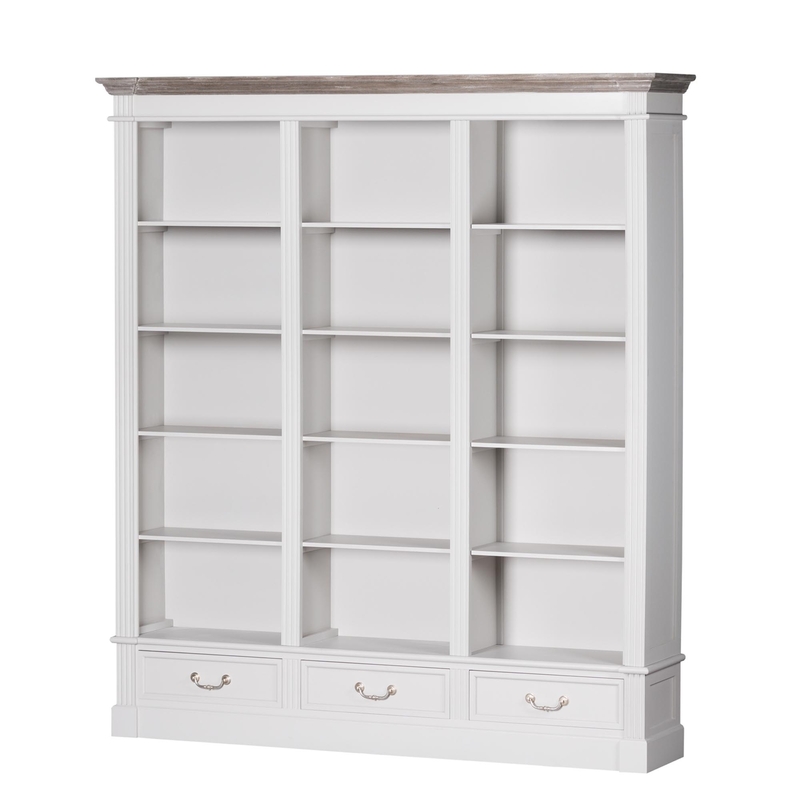 Create a statement in your home with this stunning Antique French Style Large Liberty Bookcase. This beautiful product comes with a antique white finish, three draws for storage, and fifteen shelves to store your books or even display items you love. This piece wont failt o impress.